What’s Happening to My Loved One? ← Do you know the Nutritional Needs of your Elderly Loved One? Aging processes affect people in different ways. As we age, changes in mental sharpness or acuity, emotions, and bodily functions become more noticeable and sometimes prevalent. OptimumCare Home Care Services knows and understands the physical and mental changes that we go through as we age, and encourage all caregivers as well as family members to be aware of such changes. Of course, everyone in ages at a different pace and some people don’t experience many physical or mental changes while others do. Research within the scientific community has determined that between the ages of 30 and 70 years old, biological functions and changes in the body occur. These changes may affect the brain, the heart, lungs, bone structure, and even digestion. As a matter of fact, nearly 50% of adults 65 years of age and older experience some form of hypertension while approximately 40% experience hearing loss. Changes in mental acuity or sharpness may also be noticed, but while mental processes may slow down a bit, research has shown that a 95-year-old is perfectly capable of accomplishing the same cognitive tasks as a 20-year-old. The National Institute on Aging encourages brain exercises and stimulation that to help slow down mental decline and create new pathways in the brain that expand thinking capacity. A loved one experiencing dementia however, may show symptoms in decline of mental acuity caused by damage to nerve pathways, nerve synapses, and brain cells that send instructions to different parts of the body. That’s why Mom made forget how to bake her favorite chocolate chip cookies or Dad may not remember how to brush his teeth. 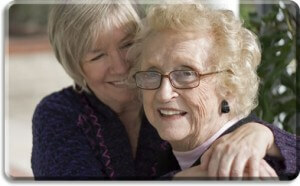 All of us experience changes in our abilities and bodily and mental functions as we age. Recognizing these changes and taking steps to reduce or slow down damage through sedentary lifestyles and lack of social stimulation and interactions is important. Staff at OptimumCare Home Care Services understands this and is able to observe changes in attitude, behavior, and mental capacity and provide options for care that ensures that you or a loved one continue to live within a safe, secure, and comforting environment. When changes are happening, it’s important to recognize and address them. There are some things we can’t change about our physical or mental health and wellness, but we are all responsible for improving or enhancing quality of life, mobility, and most importantly, a sense of independence with our seniors.